A couple of years ago 30-year-old Lokkhimoni Das, from Bagila village of West Bengal’s Burdwan district, was a content homemaker. While her husband toiled in their 1-1.5 bighe (0.12-0.16 hectare) agricultural plot, she leisurely caught fish from community ponds, chased domestic cattle, and did some weaving on the family loom. But climate change has reshaped the lives of the people of Burdwan and Nadia districts. “I am able to sustain my family with my traditional knowledge of weaving,” says Das. Ponds have silted and shrunk in size, causing native fish to disappear. “Rains have become erratic—they get delayed, are insufficient or in excess. Agriculture is also getting uncertain. So my husband has to scout to distant states for work,” she says. Other farmers have resorted to chemical-intensive farming of high-yielding paddy. This is ruining the biodiversity of agricultural fields and ponds that provided food to cattle. 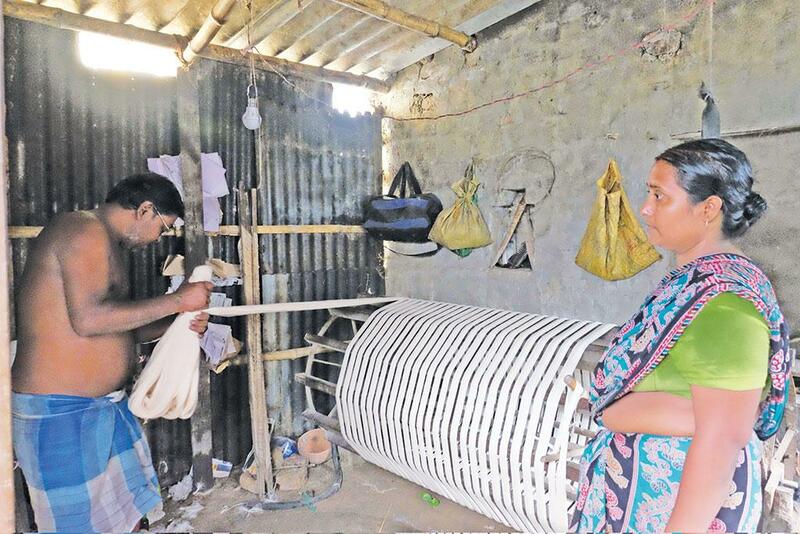 Like Das, about 60 women from at least a dozen neighbouring villages have started weaving “climate-friendly” cotton to earn their living. “The cotton they weave is short stapled, which can flourish only with natural fertilisers and pesticides,” says Rubi Rakshit, co-founder of non-profit MG Gram Udyog Seva Sansthan (MGGSS). The non-profit mentors the 60 women to make eco-friendly fabric. Their work needs no electricity, and very little natural resources. Even the raw cotton they use is grown, processed and dyed naturally. In their own small way, they contribute to mitigate the impact of climate change, and leave no or minimum carbon footprints. MGGSS began its own story in 2010 at Kolkata by collaborating with different organisations across the country to hand-hold women weavers. MGGSS, which functions under the brand name of Sutrakara, purchases 200 kilogrammes of raw yarn every month from Gram Seva Mandal at Wardha in Maharashtra. The yarn comes from the cotton grown naturally in Akola district of Maharashtra. Here, marginalised farmers work with Chetna Organic, a non-profit engaged in ecological farming in Odisha and Andhra Pradesh apart from Maharashtra. In Akola, 92 small and marginal farmers, including 15 women, cultivate desi cotton in 115 hectares across seven villages, says Rahul Bole, state coordinator of Chetna Organic. Each farmer, holding 1 to 2 hectares, produces 4 to 5 quintals (400 to 500 kg) of short staple cotton per acre (0.5 hectare). “We buy almost 80 per cent of their produce at Rs 6,000 per quintal. This is Rs 600-800 more than the open market. We are ready to pay more because desi cotton ensures 40 per cent better recovery of seed and lint than the hybrid variety,” says Bole. Cotton harvested from the last picking season is poor in quality and quantity. It is sold in the open market at Rs 5,000 per quintal. “The farmers use natural manure such as cow-dung, cow’s urine and other homemade fertilisers. They use neem as pesticide, and natural soil enrichment processes such as crop rotation, legume mixed cropping and timely weeding. The natural environment of soil and its biodiversity is thus, retained,” says Ashok Kumar Mahavadi, agronomist with Chetna Organic. This is how the organisation avoids the cultivation of chemical-intensive Bt cotton, largely grown in the rest of the country. A part of the desi yarn procured by Sutrakara is sent for dyeing to Wrukshatone, a non-profit based in Erode, Tamil Nadu. “They use faster and brighter colours derived from reliable natural sources. Wrukshatone has the skill and knowledge to provide one of the best dyed yarns in the country. Low humidity in Erode is ideal for the yarn to dry faster than in the eastern part of the country,” says Rubi, explaining why Chetna Organic prefers to work with Wrukshatone despite the distance. “Having worked together for over four years we trust that the dye used is natural. This is important as it determines our ultimate credibility among customers,” she adds. Raw yarn is soaked in concentrated solution of reetha, or soap nut, and left for two days to get rid of external impurities such as oil, fat and wax, explains A Sivaraj, co-founder of Wrukshatone. After washing, the fabric is ready for dyeing with plant products such as flowers, leaves, seeds and tree barks. Dried Delphinium flowers are processed for reddish blue shade, the bright golden yellow tone is achieved by using marigold petals, bell shaped flowers of Tacoma lend the lemon yellow shade. “We use 18 such raw materials that are mostly provided by the local forest communities. Each kilogramme of dried leaves, flowers or other plant parts are bought for Rs 2,500- Rs 3,000,” says Sivaraj. Rare flowers bloom once a year. For instance, Delphinium flowers from December-end to February in Ooty and Kodaikanal. Wrukshatone buys 35 to 50 kilogramme of the flower, even if it is at a higher price. Nearly 100 kilogrammes of naturally grown forest flowers can yield 8 to 10 kgs of dye. “The output is much higher from such flowers,” says Sivaraj. The organisation coordinates with the local communities of 10 to 12 villages in Tamil Nadu and nearby areas. “Even the colour fixer, called navchar, is natural. It is prepared from the waste of grass-eating animals such as cow, goat, camel, deer, or the waste of paddy, wheat, millet and lentil,” says A Thirumurugan, also the co-founder of Wrukshatone. Navchar is manufactured in Rajasthan but procured from the local traders of Madurai. Two kilogrammes of navchar is added to obtain light colours in a 15-kg yarn, and 5 kg is used for dark colours of the same quantity, he says. Wrukshatone uses 100 kgs of the colour in one month, one kg costing between Rs 125 and Rs 150. In all, the company invests Rs 500 to dye one kilogramme of yarn, and sells it between Rs 600 and Rs 700 to customers such as Sutrakara. The water released after dyeing is rich in potassium and other nutrients due to the addition of natural derivatives, which in turn, enriches the soil. The yarn then, comes to the women weavers of Bengal. To prepare the yarn for the loom, it is soaked in limewater for two days for softening and cleansing. “We avoid chemicals and use lemon for its mild acidic property,” says Notuba Bibi of Bagdanga village in Nadia. After drying, the yarn is kneaded in a stone bowl with a starch solution of both cooked and puffed rice. “This provides strength to the yarn to withstand the rigours of weaving,” she adds. This practice is exclusive to West Bengal. The yarn is then left to dry for at least two days. It is reeled on the traditional drum-like wooden structure. Finally, the yarn is ready for weaving. It is a visual treat to watch women weave magic with multiple hues of yarn in pit looms. These lie two feet below the ground and are operated by feet. “Our communion with mother Earth is essential because our work requires tremendous mental composure and concentration, which she alone can provide,” says Neelima Pramanik of Deideipara village in Nadia. The weavers make fine muslin or coarse cotton fabrics that are embellished with ethnic and exquisite Jamdani motifs, part of Bengal’s heritage. Depending upon the design, two weavers may be seen working on one loom. While one weaves the fabric, the other deftly crafts designs on it by sequencing threads using special needles usually made from the wood of tamarind tree. The final output can be a saree, dress material or a stole. A typical Jamdani saree, costing between Rs 12,000 and Rs 24,000, can take up to 25 days to complete. But the weaver earns only Rs 4,000 to Rs 5,000 per month for this. Though every weaver agrees that the income does not match their hard work and time, their priority is to procure work orders. “Weavers’ income must be at par with the price of their products to make the work sustainable,” says MGGSS co-founder Arup Rakshit and Rubi’s husband. MGGSS is now working on strategies to market these green fabrics. “The products are niche, eco-friendly and good in terms of texture, design and colour. They can find buyers in pan Indian markets,” says Nalini Pandey, alumni of the National Institute of Fashion Technology. She runs Fashion Studio, a store in Nagpur that sells branded clothes, and has been a Sutrakara customer for two years. The products find market in various textile fairs, and rural and urban haats. They are also sold online and promoted through social media and other outreach platforms by Rubi’s daughter Prerona Rakshit. Now, Rubi aims to nurture weavers’ skills by involving them in new training programmes. A trained spinner herself, she not only teaches rural women to spin yarn from short stapled cotton, but also coaches them on the upcoming trends on colour, design and texture of the fabric. The underlying message at the heart of MGGSS’ efforts is to make a unified effort to provide organic fabric to all while also fighting climate change, says Rubi.